Dr. Antoine Louveau is a research scientist in Dr. Kipnis’ lab. Dr. Louveau joined the lab as a postdoctoral fellow, having earned his Ph.D. at the University of Nantes in his native France. Dr. Jonathan “Jony” Kipnis is the Harrison Distinguished Teaching Professor of Neuroscience and the director of UVA’s Center for Brain Immunology and Glia (BIG). His lab focuses on the complex interactions between the immune system and the central nervous system under healthy conditions and in different neurological disorders. Dr. Tajie Harris is an assistant professor who focuses primarily on immune responses to parasitic pathogens that infect the central nervous system. She received her Ph.D. from the University of Wisconsin and is a member of UVA’s BIG Center. 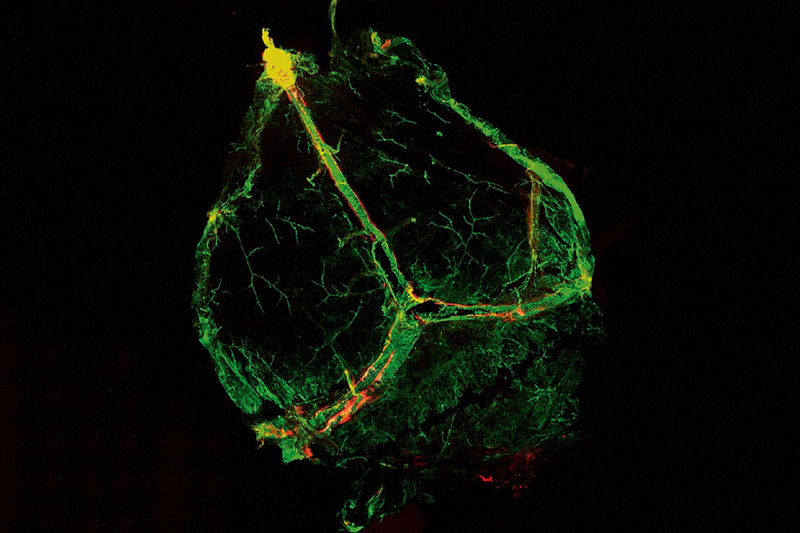 For the brain-lymphatic discovery, Dr. Harris contributed her expertise in intravital microscopy.